On Wednesday I found myself sat on a train with Lac Léman speeding past. A wispy mist clung to the water, clouding the horizon so the lake looked endless if you looked backwards. The mountains majestically rose in the distance, huddling around my destination. As I sat on the train, basking in the glow of the bright sun, I was consumed with joy, brimming with possibility and hope. We grow, grow, older still"
Writing and editing my last post swallowed an entire afternoon and evening. I finally finished at past midnight. I couldn't sleep for hours, constantly checking my phone to see if anybody had reacted yet. I woke up aching with a nasty cold and spent the rest of the weekend feeling grim and exhausted. On Monday afternoon I watched Steve Jobs's speech on TED. I lay on the sofa, throat lozenges, DVDs, empty bowls and mugs strewn around me, and thought. If this was my last day, what would I do? The answer was resoundingly, loudly obvious. I would go to the mountains and see my family. Writing that post drew a line underneath my choice. My heart wasn't in it any more. Your insightful comments cemented my resolve. I wasn't excited about the subject of any of the remaining practicals and the thought of the exams put me into a pointless cold sweat. I had tutoring jobs waiting for me at home. I had already chosen the path - hopping from foot to foot at the junction was only giving me sore feet. And so I jumped. I booked a one-way flight and packed my bags. In the midst of all of this I've tried to make three separate things this week- some little cakes, a pudding and a sorbet. Every one has been off the mark. I thought about using some of the photos for this post but I just don't feel the same way about photos of foods I didn't enjoy, even if they're of the ingredients. So I went back to drawing board. Take Four. I chose to make a recipe that I'm amazed I've never posted before. 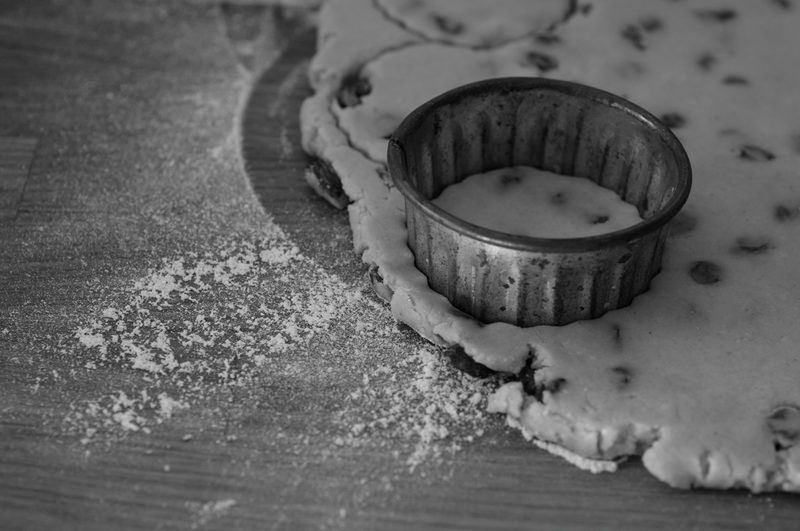 Mum has been making welsh cakes regularly since I was little - often for tea after school, cooked directly onto the Aga hotplates. They're comforting, easy and delicious. Mum usually makes them in a food processor but I like to feel the dough with my hands. I knew they would never fail me. We have specific ways of eating these. I butter the top of mine then cut it into segments and like them cooked medium rare. Mum splits hers and the butters both sides before segmenting and likes them well done. We both, inexplicably, always eat them off the flat side of the knife. I took the photo below in between cooking two batches, quickly snapping it over mum's shoulder. No staging at all - just a captured moment, a shared habit in my home. Sift the flour, sugar, baking power, spices and salt together into a mixing bowl. Rub the butter into the dry ingredients until everything is even and has the texture of fine breadcrumbs - just like making pastry. Stir in the sultanas. Add the egg and bring together into a dough - adding a dash of milk if needed. Bring into a ball. Dust a work surface with flour. 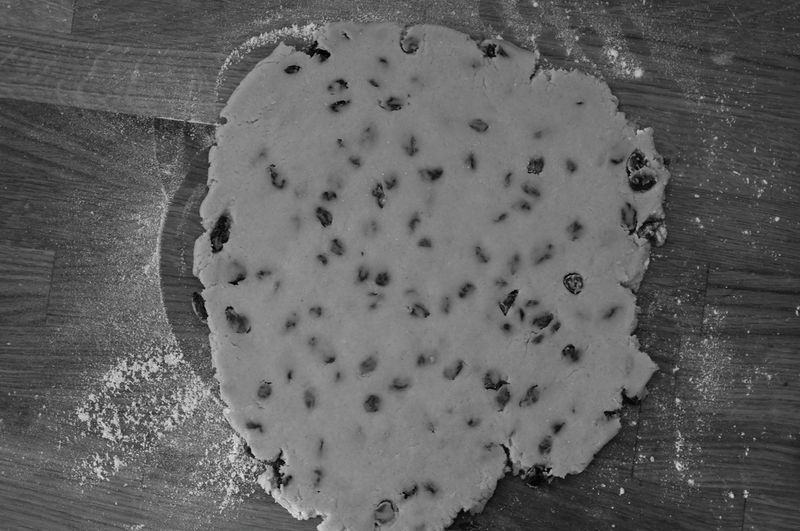 Roll out the dough to about a centimeter thickness. Cut rounds out with a fluted or smooth cutter. Place onto a plate. At this point you can chill them for up to a few days - we usually eat a batch over three or so days, cooking them as we go. 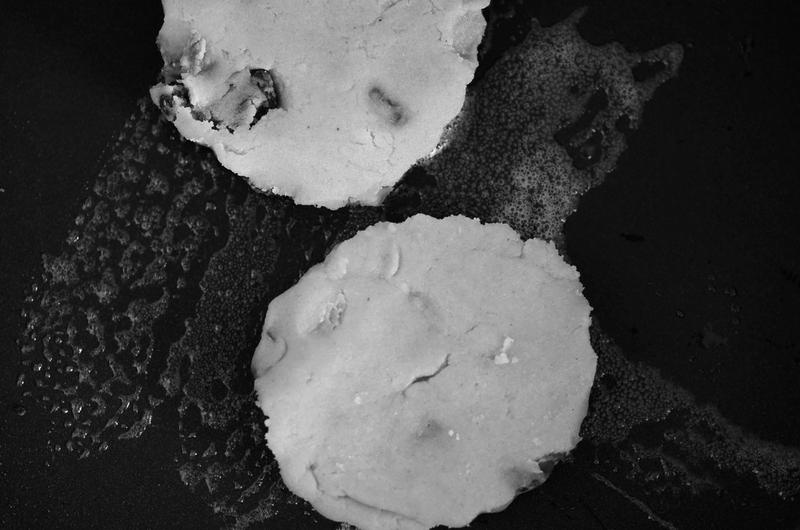 Heat up the frying or griddle pan with the heaviest bottom you can find - or the hotplate of an Aga. Grease with some butter. Fry the cakes in batches (I tend to do two at a time), turning over when well browned. Try a few at various cooking times to decide how you like yours - medium rare to well done. Serve immediately (we tend to eat them in batches as they're ready, though I hear they're also good warm or cold - ours have never got that far), slathered in butter. Wow I've never had Welsh cakes before :) But i'd love to try some!!! Are they kinda like pancakes or scones? This post made me oh-so happy :) Being brought up in south wales, welsh cakes were a common treat for me whenever I visited my gran! Havnt made them in SO long though, goodness...over 6 years. Will definitely have to try and dig grans recipe up, or use this one if I fail to manage that :) Another thing I love about your recipe is that you havnt put sugar on the top, too many welsh cake recipes assume sugar is a mandatory topping which is definitely not the case (even though it is how I like mine I have to say :) ). All in all just a lovely post! Beautiful! 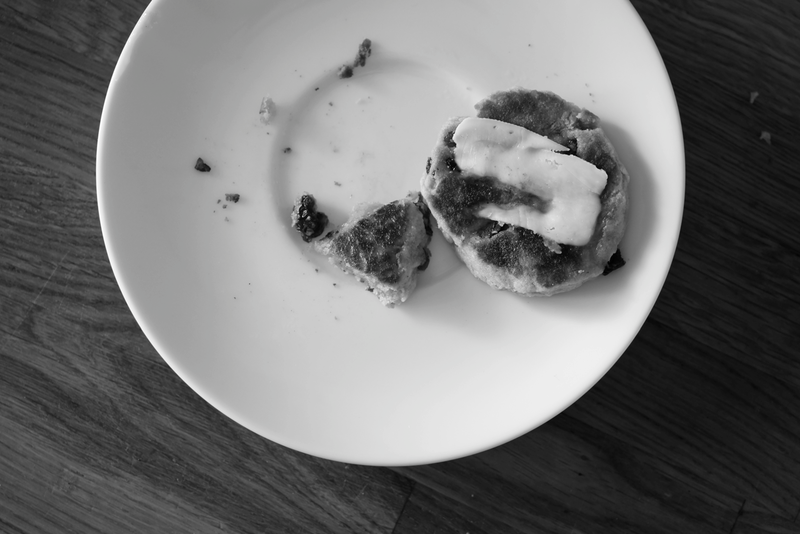 I had forgotten about welsh cakes. Brilliant post which I really enjoyed - thanks! What a gorgeous, joyous post :-) So glad you're happy with all your decisions and wishing you the best of luck with your studies. I've never made Welsh Cakes but they look delicious and definitely worth adding to any afternoon tea repertoire! Daisy@Nevertoosweet - They're really hard to describe if you haven't tried one - they're sort of like pastry or shortbread but not so dry, the taste is buttery with the spices and fruit, and they're hot and toasted - but don't taste fried like a pancake. So difficult to describe! 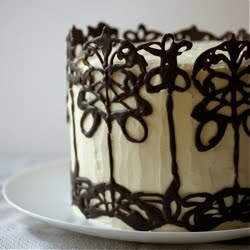 The Procrastobaker - Ooh you should - I'd love to hear how your gran's recipe differs from this one! I didn't realise sugar was a common topping until I looked them up on wikipedia the other day. I'll have to try it another time. 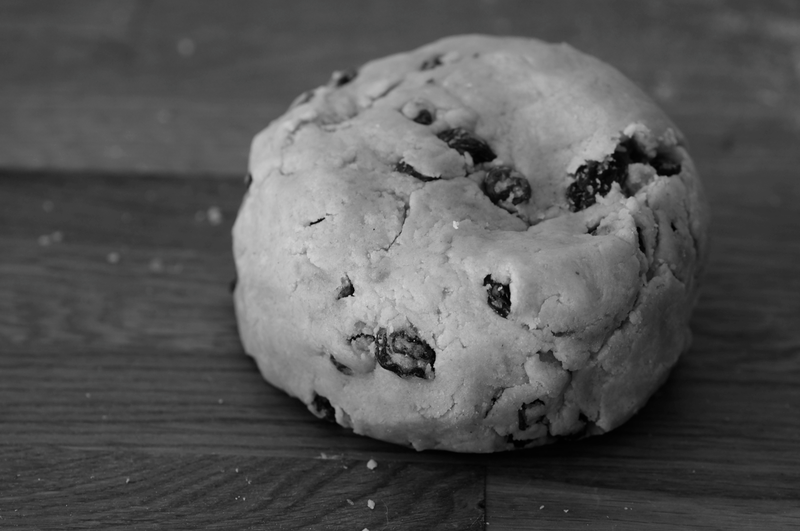 cakeboule - Glad I could remind you - I love welsh cakes! They're definitely an underrated treat. thelittleloaf - Thanks :) You should definitely give them a go, they're so delicious. And it appears that not many people make/eat them these days! 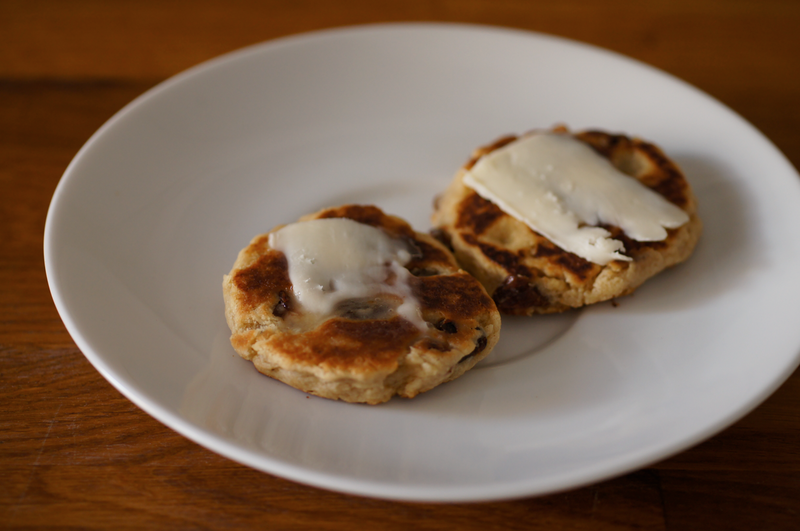 cinabar - I've never actually eaten Welsh cakes in Wales, I'll have to remedy that! Do give it a go, it's a great recipe. 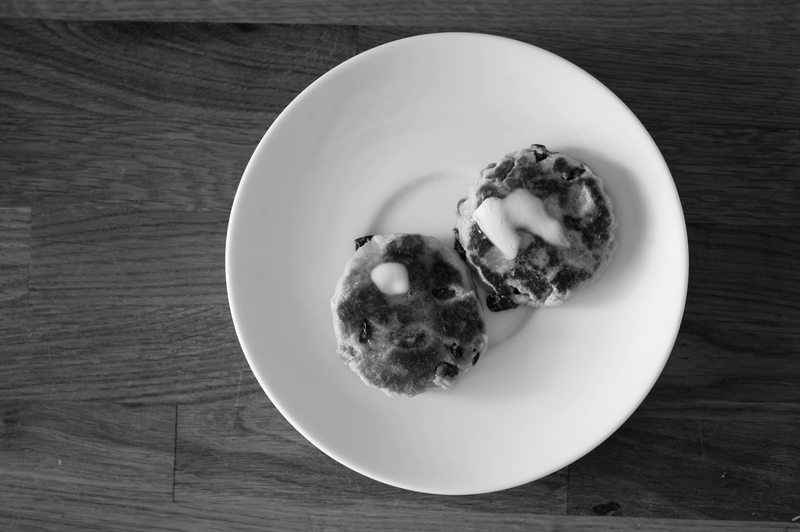 Welsh cakes, I was born and raised on them. Of course they should really be cooked on a bake stone. They are not so easy to come by now, I have my grand mothers and use that. Thanks, the recipe is great.